US President Donald Trump and North Korean Leader Kim Jong Un have agreed to completely denuclearise the Korean Penisula and forge new relations between their countries. This deal was clinched during their historic meeting in Singapore by signing a joint statement. 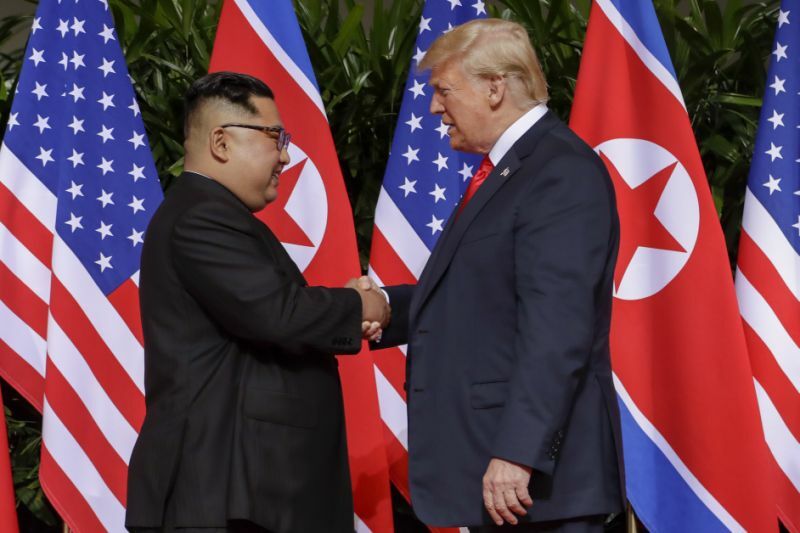 “President Trump and Chairman Kim Jong Un conducted a comprehensive, in-depth, and sincere exchange of opinions on the issues related to the establishment of new U.S.-DPRK relations and the building of a lasting and robust peace regime on the Korean Peninsula,” the statement said, using the North’s acronym for Democratic People’s Republic of Korea. Kim said through a translator that the pair “decided to leave the past behind” and “are about to make a historic change.” He also expressed “gratitude” toward Trump for joining the talks. Trump said they would begin the denuclearization process “very quickly” and, in response to shouted questions from reporters, said the two would “meet many times” in the future.